Ooooohhh, this is a good one. 2 3/4 cups water, divided. First, cook the rice according to package directions. 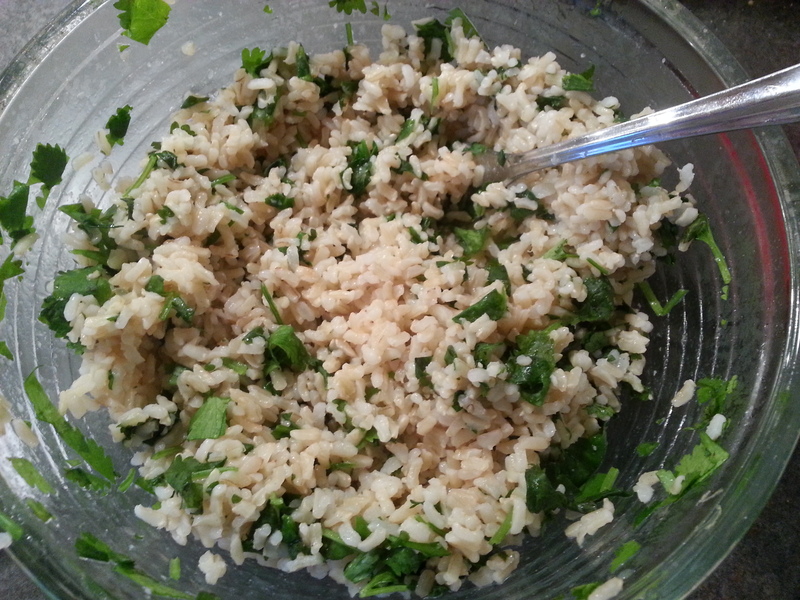 As the rice is cooking, brown the onions in the olive oil over medium heat (about five minutes). 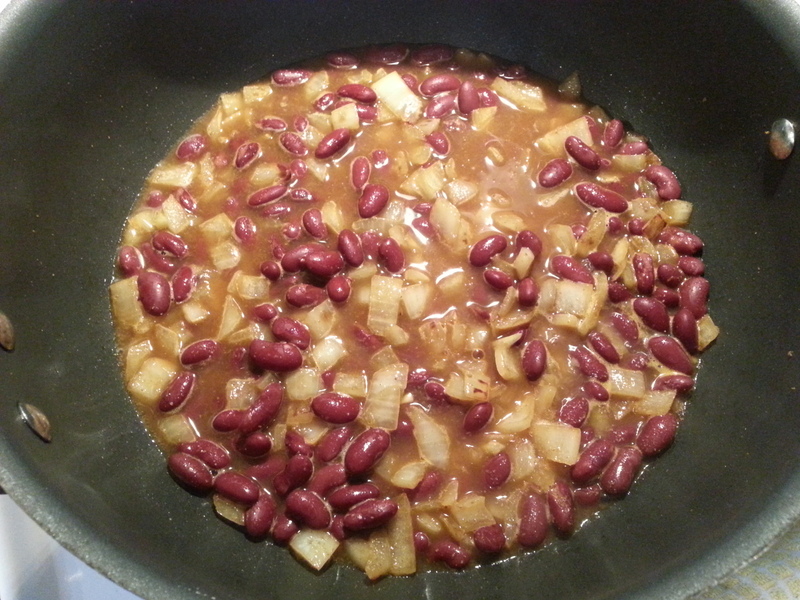 Add the beans, cumin, coriander and chile powder, and stir to coat. 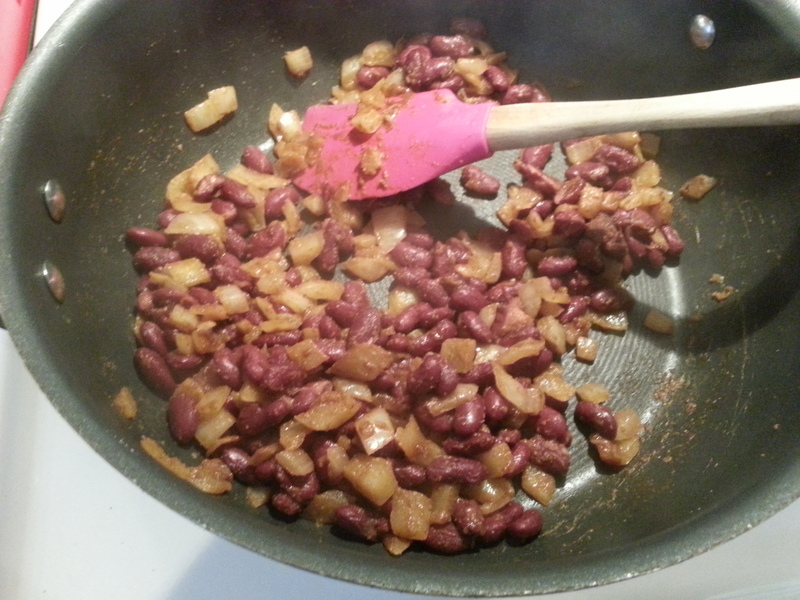 The spices should adhere to the beans and onions, and create a delicious aroma as they slowly toast in the pan. Cook on medium heat, stirring constantly, for about 2 minutes. Add a cup of water to the pan, bring to a simmer, and allow the water to reduce. 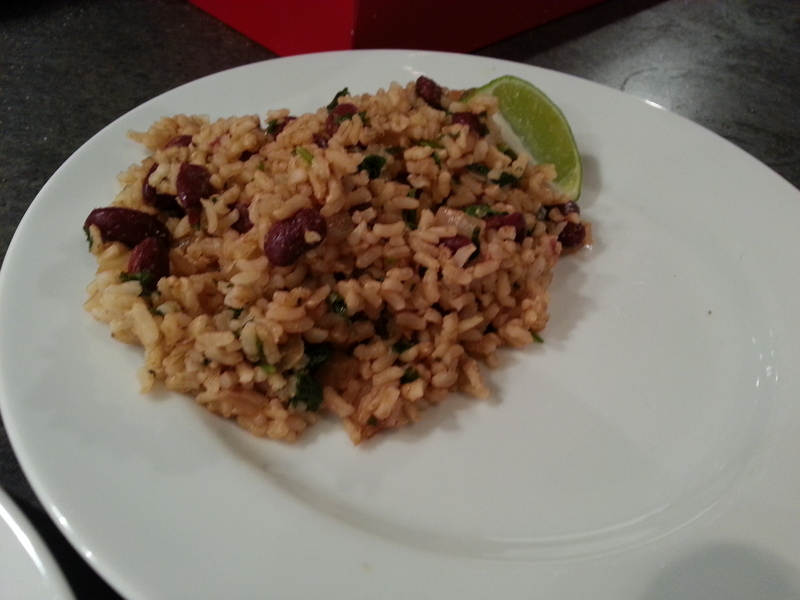 As the onions, beans and spices continue to simmer and the liquid reduces, fluff the rice, and stir in the fresh cilantro, juice of one lime, and salt and pepper to taste. 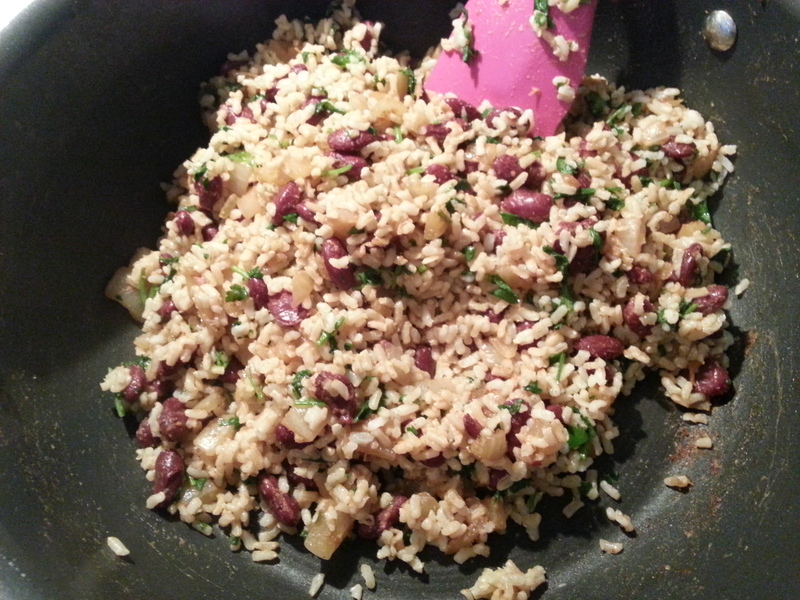 When the liquid is nearly gone, reduce the heat to low, add the rice mixture to the pan, and fold until thoroughly combined. Serve the delectable result with lime wedges, and a generous dollop of salsa. Enjoy!